In this episode, the guys recap the 2nd annual K&N Spring Fling Million, which brought the biggest victory of Luke’s career. What’s more? Jed and Luke squared off in round 5 of the main event! They talk about that, the spoils of victory, what went into the win, and they recap the entire week in Las Vegas. 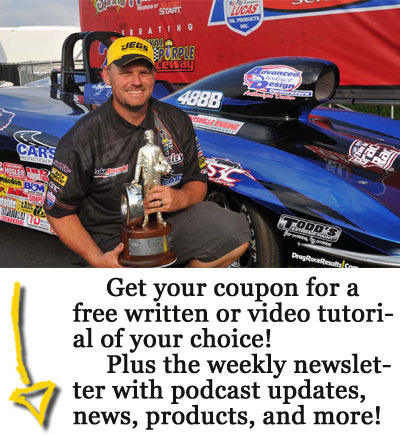 This is one Sportsman Drag Racing Podcast you don’t want to miss!